Reworked to a completely stand-alone mod. 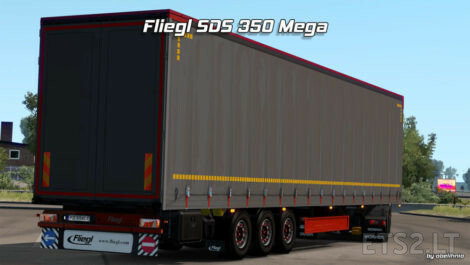 Trailer for low-deck trucks with SCS cargoes. Support all current game features. Respect the original download link. 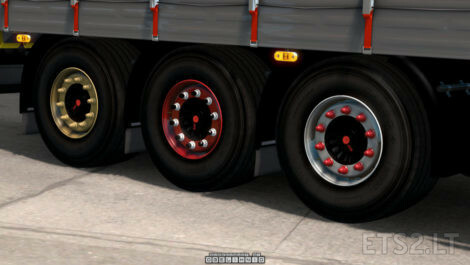 Uploading the mod to other sites is allowed with the original download links. Include all authors to show respect for their work. 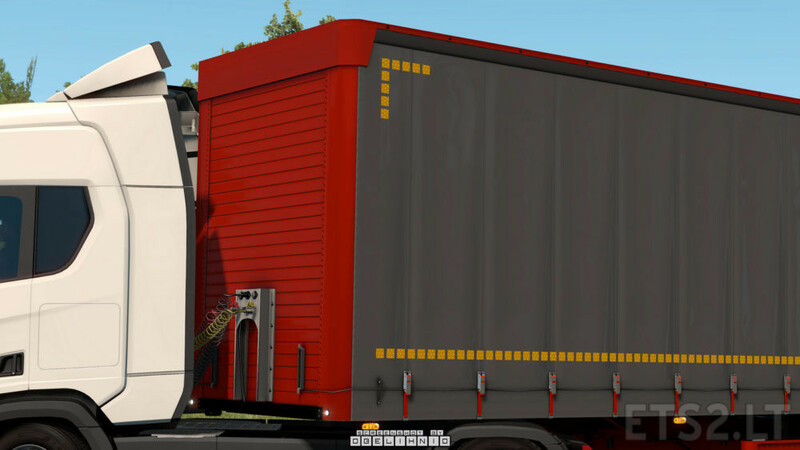 v2.1: Complete mod rework; support for trailer ownership; rebuilt roof; custom normal maps for side and roof trap; paintable rims & nuts; multiple tweaks and fixes; multiple new accesories; new chassis fakeshadow; updated skins; udpated templates. v2.0: Added cable physics support, updated collisions, tweaked hook position, fixed bugged Dachser skin. v1.8: New trailer variant with Ecopoint II lamps; added rear bumper mudflap; trailer has 4 variants: old/new lamps + bumper mudflap/no mudflap; new wheels (author: [color=#BFBF00][u]abasstreppas[/u][/color]); 5 new skins; paintable tensioning belts; new landing gear animation; optimized side tarp. ??? Sehr schöner auflieger! Like! Lob an den/die Modder!